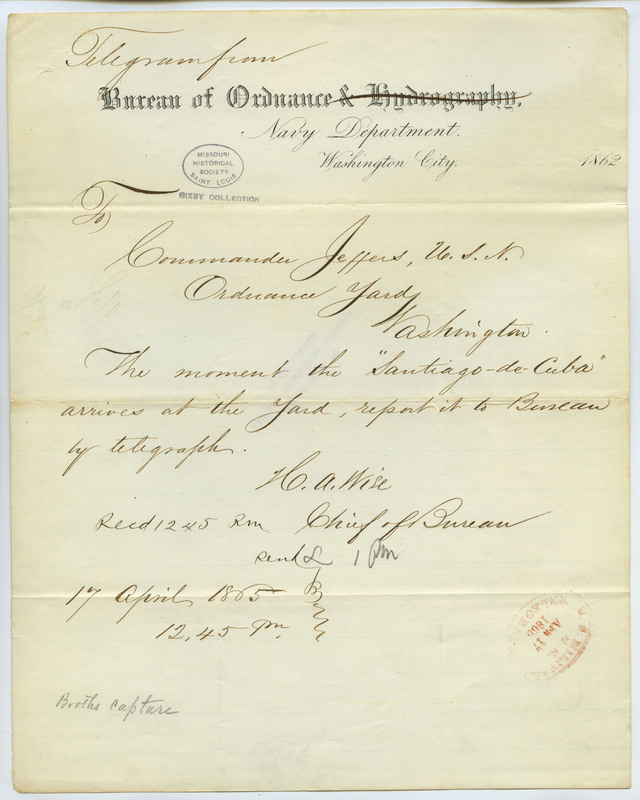 States, "The moment the 'Santiago-de-Cuba' arrives at the Yard, report it to Bureau by telegraph. . . ." Relates to the capture of John Wilkes Booth after his assassination of Abraham Lincoln.